The Arbor Roundhouse CX is the Arbor Element for Wide feet. It’s a very good directional traditional camber board made to dominate groomers and do a really good job carving. Traditional camber has some limitations but many old schoolers or technical riders really still like it. 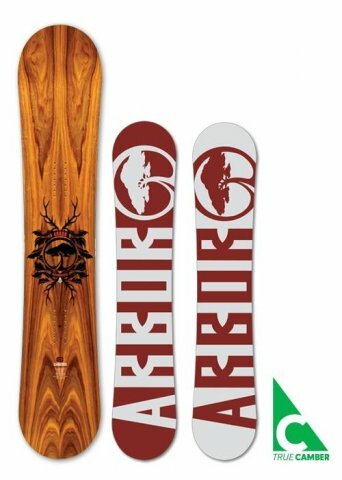 This is a great all mountain to borderline freeride board for those that really enjoy groomers. The Arbor Roundhouse CX is very old school but still very fun for those that love traditional camber. It’s hard to say that good conditions groomer day isn’t fun with this board. On Snow Feel: This aggressive camber board is going to be for those who know there is some consequence if you catch your edge. On the good side, it’s going to give you a pretty good locked in feel for those that like to get the most of their turns and aren’t into taking a more playful freestyle approach to the mountain. Powder– There is a setback stance with a nice directional shape that makes it easier than many camber boards but it’s still a camber board that points down instead of up. We’d love to see this go hybrid camber. We’d like to see this be mostly camber but add a little rocker in the nose and a little less in the tail. It would make this a lot easier in powder while still providing the kind of pop old schoolers like when launching off wind lips or natural terrain. Turn Initiation– This is borderline challenging and for the Arbor Roundhouse CX that is preferred. Speed: Nothing out of control and it can get a little unstable when you pick up speed. It’s better than the Swoon and almost the same as the Westmark. 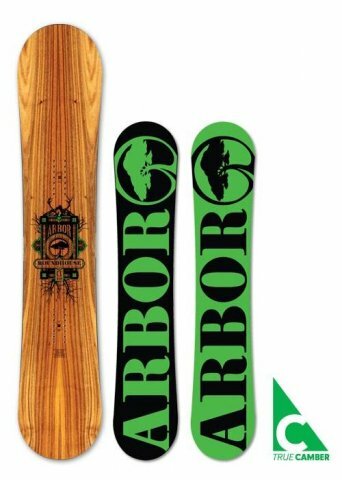 Uneven Terrain: The Arbor Roundhouse CX handles tracked out or hard snow pretty well but it’s not going to be the kind of board that can easily navigate a big rutted up bumpy patch of skier terrain but it’s better than you would think for a board of this flex and speed. Approximate Weight– It’s well built and very beautiful but it’s not the lightest. They did what they could to make it light enough not to bother most people on the chair. Edge Hold: Edge hold is very consistent while not being overly grippy on the Arbor Roundhouse CX. Love the extensions at each binding that they call grip-tech. Flex: It’s a borderline aggressive flex that is perfect for what Arbor needs to accomplish. Carving– The Arbor Roundhouse CX Lives to carve and we had a lot of fun on it. It’s one of our favorite qualities. A directional camber board of this shape is just a treat to carve and really lay into. Switch: Definitely different switch but you can get used to it with a centered stance. We try to get as many images of the Arbor Roundhouse CX, but forgive us if they're not all there.